You can register two type of services: Identity Providers and Service Providers. As registration form is filled and posted the request is sent for approval. Only users with admin rights may approve the request. 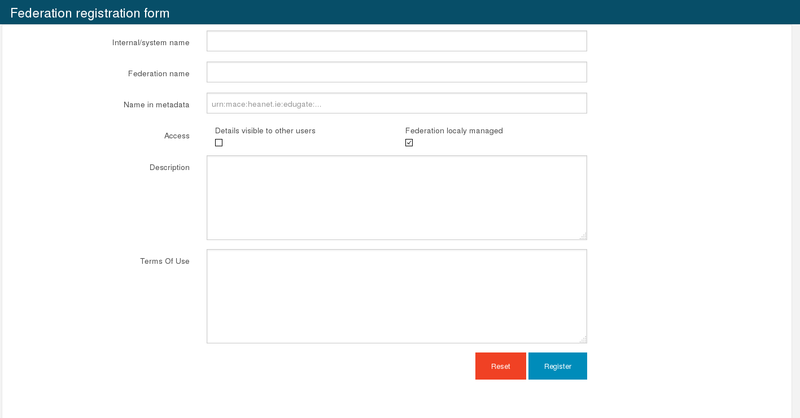 The form is available on https://youhost/alias/providers/idp_registration The Step1 contains an optional text field. 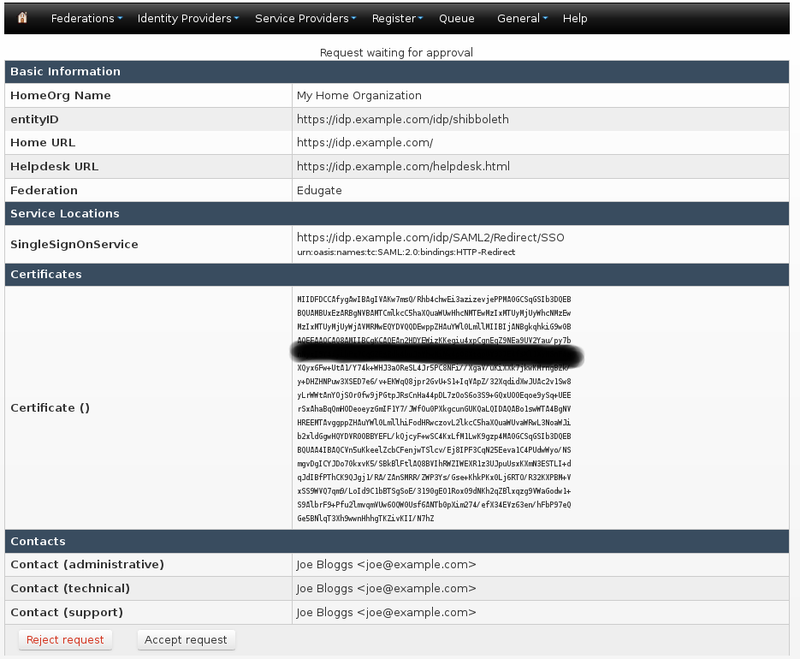 If you have you IdP’s metatada you can put into this field and click on “Parse metadata”. This process will populate basic information into fields on next steps. Step 1 : It’s optional. You can put metadata generated by you SP and parse it. It populates some basic information into other steps’ fields. Step 2 : General Tab. Step 2 : SAML Tab. Step 2 : Required attributes Tab. When Identity or Service Provider is registered then it will appear in queue list in the system. Only users with admin right may approve it. As you review the request you can reject or approve it. As soon as it’s been approved administrator may need to delegate “sufficient rights” to the requester.